Humility is the hallmark of Christian life (Luke 18:14). Therefore if we are going to boast, it won’t be in anything we have done, but in the cross of Christ alone (Galatians 6:14). even when we aren’t seeking him as we should (Isaiah 65:1; Romans 3:11)! So we cannot – and we must not – forget this during our 100th Anniversary. We would surely go astray if we were to recount all of the faithful people over the years who have kept our church afloat. By so doing we would also defame their memory by belittling their convictions. That’s because they would all, to a person, tell us in no uncertain terms that all goes “to the glory of God” (1 Corinthians 10:31)! They knew they were only unworthy servants doing their duty and deserving no thanks from anyone (Luke 17:9–10). 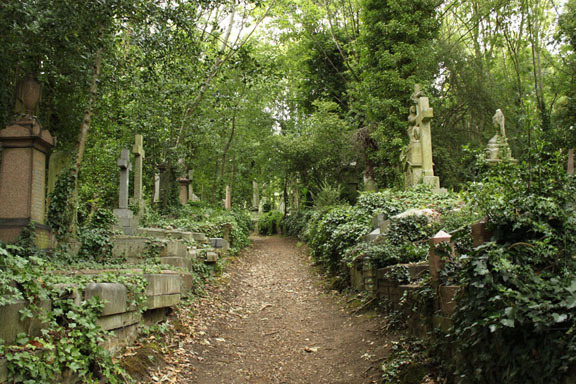 I know that because over the last almost forty years, I have known about half of those who labored here these past one hundred years and are now at rest in heavenly glory. Amen. Pastor Mandrup Donald Hinderlie (1915–1978) served our congregation from 1959 to 1973. 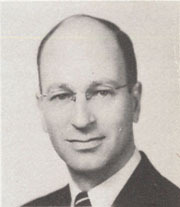 After serving three churches in Minnesota (1940–1956), he came out here to start Grace Lutheran Church in Des Moines, then moved to West Seattle in 1959. 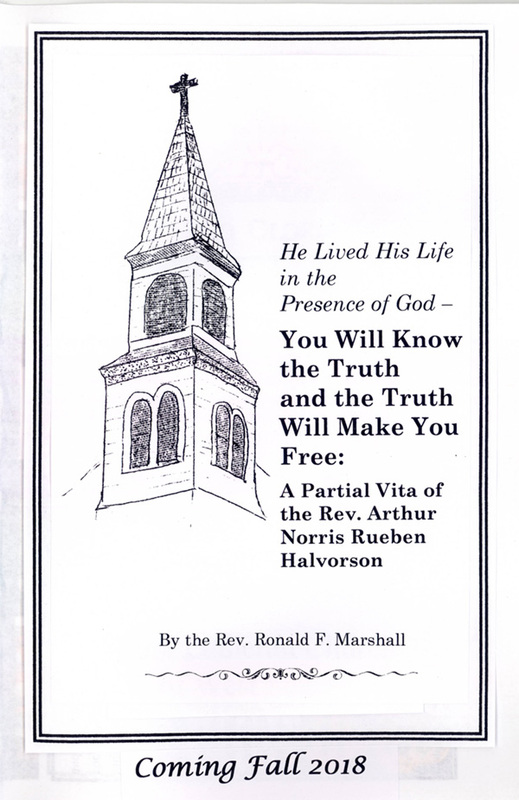 “Pastor Hinderlie was the shepherd of the flock during the turbulent 1960s. Our parish was not impervious to the troubles of these times. He tried to hold together both sides on the issue of the war in Viet Nam, both sides on the issue of the folk worship service, and both sides on the issue of the counter-culture and its hippie generation. He failed at this and had a heart attack probably due to his efforts” [R. F. Marshall, Deo Gloria (1989) p. 41]. Even so he clearly favored orthodox theology and worship. This rankled his opponents. When he left, due to his heart attack, a former president of our congregation claimed credit for it due to his constant harassing of him [see both Margaret Schultz’s (1914–2000) and Dean Hard’s memos on this lowest point in our church history]. 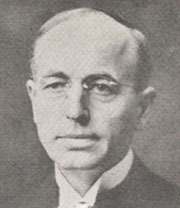 Pastor Hinderlie was able to preserve the heritage of his predecessor, Pastor Halvorson (1946–1959). These two men, then, set the orthodox Lutheran course of our parish that continues to this day – and for that we give thanks to God. Pastor Hinderlie is the best known pastor to have served our congregation. 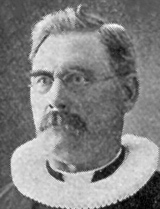 His father, Johannes Andreas Mandrup (JAM) Hinderlie (1881–1940), was a pastor – as was his grandfather, Knut Christian Hinderlie (1838–1915). Pastor Hinderlie’s oldest son, John, was also a pastor (retired in 2006). And his grandson, Peder, was ordained a Lutheran pastor in 2014. Overall there have been more than thirty members of the large, extended Hinderlie family to serve in the ministry. This is unique in the Lutheran church in America today. Yes, it is here: the month we celebrate the 100th Anniversary of First Lutheran Church of West Seattle! A big celebration has been planned and has already started. Some might say the plans seem too ambitious, too elaborate, too expensive. After all, we seem to be constantly faced with adversities that go with aging: one major building repair after another; diminishing vitality; slow but steady decline in participation. 100 years. Aging. Struggles. Reasons to celebrate? Well, as Luther put it, “A Christian is uplifted in adversity because he trusts in God.” The focus is not the adversity but rather the focus is on God. Putting God first. How do we focus on God? We focus on the most important gift God has given us, His Word. Of course, the seed of His Word does not always fall on fertile soil. But we do celebrate that in the past 100 years there have been many pastors who have faithfully preached and taught the Word of God. There have been those among us who have not valued and appreciated that. But First Lutheran Church of West Seattle should be known as a place that above all upholds the Word of God. We celebrate that the Word of God keeps it in our faces that we are sinners, through and through. The Word of God also claims that we sinners are redeemed by the blood of Christ Jesus. The Word of God thus frees us from ourselves so that we may reach out and care for others in need. That this still abides after 100 years is significant and a lot to celebrate, a lot to be uplifted about. Thanks be to God! Please keep the Mission and Ministry of our congregation in your prayers. A new companion volume, Sixteenth-Century Biographies of Martin Luther (ed. Christopher Boyd Brown) has just been published to go along with the new volumes of Luther’s Works currently coming out (volumes 56–82). It includes well known works by Coelius, Bugenhagen and Melanchthon – and not so well known ones by Johann Walter – in the form of a 64 verse hymn! – and Johann Mathesius (which makes up the bulk of this book – pages 103–612). At the end of his biography, Mathesius praises Luther for “teaching the doctrine of true Christian repentance and exhorting everyone to contrition, sorrow, and blessed knowledge of the Lord Jesus Christ and to genuine new obedience [which includes attacking] impure doctrine and false worship” (599). Who knows this Luther today? Who cares about any of this today? At the beginning of his work Mathesius notes that when “our Friar Martin” showed up in Wittenberg in 1508 he “assiduously devoted himself to Holy Scriptures and began disputing against sophistry in the university” – with such power and devotion that it was clear no one would be “able to topple or refute” him (126–27). Who had God’s truth deserted. One describes it as a follower of the teachings of Jesus Christ who spends his or her time, money, and energy focusing on making the world better and taking care of the people and things which are important to them. An example of Christian stewardship is making regular donations to the church to which you belong. Another definition states that stewardship is a theological belief that humans are responsible for the world and should take care of it. Believers in stewardship are people who believe in one God who created the universe and all that is within it, also believing that they must take care of creation and look after it. Creation includes animals and the environment. Many religions and denominations have various degrees of support for environmental stewardship. “Whatever you do, work at it with all your heart, as working for the Lord, not for men, since you know that you will receive an inheritance from the Lord as a reward. It is the Lord Christ you are serving”. Deuteronomy 8:17 states, “My power and the strength of my hands have produced this wealth for me.” However, Deuteronomy 8:18 seems to advise us to us to think differently: “Remember the LORD your God, for it is he who gives you the ability to produce wealth”. In exploring this important concept, I’ve learned recently that as Christians in the 21st century, we need to embrace this larger biblical view of stewardship. I believe this goes beyond church budgets or building projects, though these are important. Stewardship connects everything we do with what God is doing in the world. 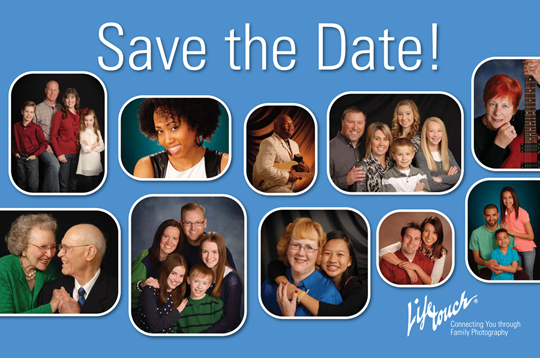 Lifetouch will be returning (yes, it’s been four years) to help with a new church directory in October. That will be Friday, October 12th and Saturday October 13th. On these dates they will take family and individual photos. Please put these dates on your calendars. Whole congregational support is vital to making a new directory. Also, extra help is needed on these days to greet and check in people when they arrive for their photo sessions. Service Teams may be called upon to help during these sessions. DEO GLORIA CANTORES – Choir will start their practice sessions at 7:30 pm on Thursday, September 6th, in the gallery. Fall Schedule starts on Sunday, September 9th. Adult Bible Class, rm. D and Sunday School, rm. 4, 9:00 am. Confirmation (6th – 8th grades) meet in the library. The Wednesday pastor’s classes (10:00 am & 7:30 pm in rm. D) start on September 5th, and confirmation (3:30 pm in rm. D) starts on September 5th as well. FOOD BANK DONATION suggestion for September is canned, boxed or instant soups or one meal options like corned beef hash, stews, etc. We’re at it again. Thank you to all who have already begun helping prepare for this annual fund raising event. So many of you have stepped up to the plate, or in this case the “St. Nicholas Faire tree,” and taken ornaments. Many of you have already made your purchases/donations and they have been catalogued and are waiting to be made into baskets for purchasing at the Faire. At this writing, there are many items both to be taken and turned in. It would be outstanding if all “ornament” items could be brought to the church by Sunday, September 16th. If you need assistance of any kind getting this done, please call Larraine King (206-937-6740) or email her (larrainelk@gmail.com). And please remember to put your name on the item as well as the retail value. It takes a lot of time searching the internet to find the value of the item. And we need that information to complete the bid sheet. If you would prefer, you can donate money designated to the St. Nicholas Faire and we will do the shopping. Plus, in late November, we will be purchasing items that need to be fresh, so they need to be bought closer to the date of the Faire. If you would like to help in this way, please let me know and I can give you a list of items to choose from. But most important, always remember that all our efforts are to support, in a fun and enjoyable way, TWO very important extended ministries – the West Seattle Food Bank and the West Seattle Helpline. We are looking forward to having a super evening of wine tasting, winning prizes at the ring toss game, munchies, conversation and fellowship, and “shopping” for holiday gifts for friends and family. Where else can you go so close to home to such a party?!?!? And it all benefits two great organizations! So plan to come and invite your neighbors and family and friends to come with you. Sign-up sheets for helpers for the event will be posted in October and more details about the event will appear in future Messengers and bulletin announcements. So, MARK YOUR CALENDARS!!!! If you don’t come there will be no party, no fun, and no funds raised for the Food Bank and Helpline. Please note the date and time…..Our beloved Seahawks schedule has worked havoc on choosing a date and time once again for the St. Nicholas Faire. We hope the change will solve the problem of encouraging friends and family to attend the Faire. And we hope that the Seahawks don’t change the schedule mid season! Dr. Louis Landino – long time orthodontist in West Seattle and Renton – joined our church in 1975. He served on the Council from 1985 to 1988, and as Chair of the Deacons in 1986. He retired in 2008 after having a stroke that left him paralyzed on the right side. Not to be out-done, he took up water color painting with his left hand. Before his stroke, he also painted and made beautiful customized furniture and finely painted wooden birds. 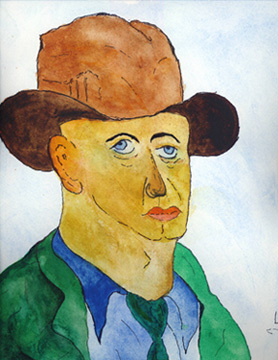 He mother was also an artist – as is his sister, Susan Landino Edwards (see her online). Included here is a sample from his voluminous work this year. 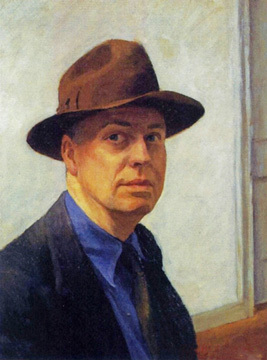 What he has done in this piece is paint his version of an Edward Hopper self-portrait from 1930. 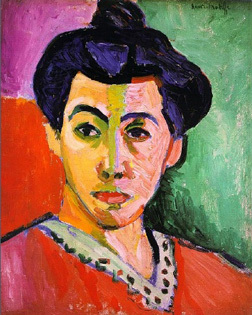 I think Lou’s style resembles that of Henri Matisee (1855–1917). Like Matisse, his paintings use intense colorism, with bold simplification of flattened forms (Hilary Spurling, Matisse the Master, 2007). We wish Lou the best and thank him for the beauty he brings to our world. 12-2 pm in the Room C, Sunday, September 16th. Finding Hope in the Legacy of Ruth (2014). Nov. 18 Bryan Stevenson, Just Mercy: A Story of Justice and Redemption (2014). Jan. 20 George M. Marsden, C. S. Lewis’s Mere Christianity: A Biography (2016). and the Rise and Fall of Nations (2014). and the History of Violence (2014). 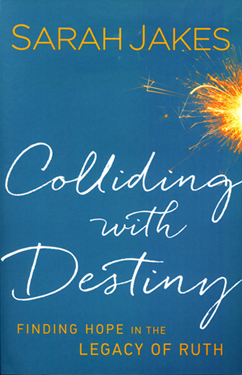 The book for September is Colliding With Destiny: Finding Hope in the Legacy of Ruth (2014), by Sarah Jakes, living in Dallas, Texas. She is the daughter of the famous TV pastor, T. J. Jakes. In this book she explores the Biblical story of Ruth – looking for “clues” (12) from God on how to deal with our disappointments. Even though Jakes repeatedly tells us to take charge of our lives (40–41), in the end she knows that it is God alone who can change us for the better (2l3). A copy of this wonderful book is in the library. If you would like to purchase one for yourself, contact Pastor Marshall. Feel free to attend our meeting when we discuss how God uses calamity to make us better people. This eight week class will study the Book of Judges – not a favorite among Christians because of all of its violence. This will be done by reading through the 63 page pamphlet, A Christian Battle Manual: An Unexpected Reclamation of the Book of Judges for the Church (2005) by Pastor Marshall. 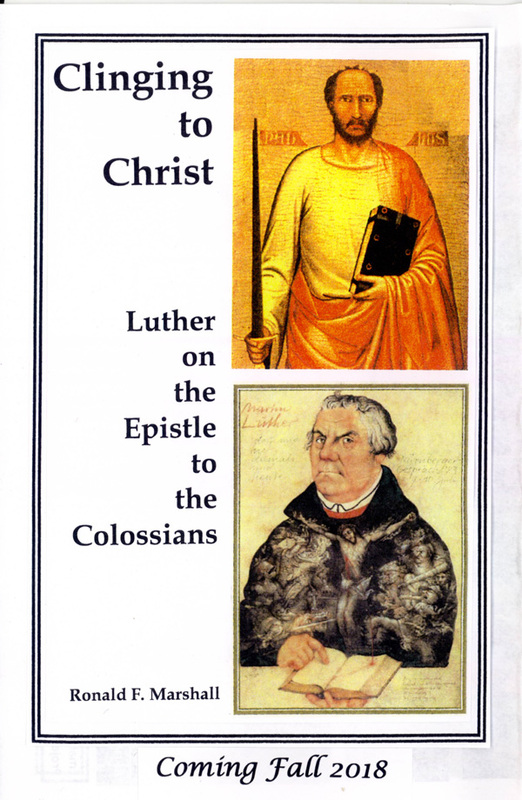 In this eight week class we will study Luther’s view of Holy Baptism. It will be based on the article, “Poisoning Baptism” (The Bride of Christ, Lent-Easter, 1991) by Pastor Marshall. This class is will be the culmination of our 100th Anniversary Celebration. In this four week class we will study the recent US Supreme Court decision, “Masterpiece Cakeshop v. Colorado Civil Rights Commission” (June 2018). This is one the last decision written by recently retired justice, Anthony Kennedy, and it addresses the conflict between the civil right of a gay couple and the religious freedom of a cake baker. It is being called a landmark decision. In this eight week class we will study eight psalms most Christians don’t know about, and if they do, they’re outraged over – Psalms 9, 39, 55, 58, 107, 109, 137, 139 and 144. Each class session will be based on a worksheet of questions handed out the week before. This eight week class will study The Gospel of Mark. This Gospel has the latest beginning in Jesus life (with no birth or infancies stories). It also has a strange ending that will be explored. at 3:00 pm, in the nave. & Bach’s: Sonata in E Major, BWV 1016. Experience this contrapuntal brilliance from Bach, who once said "Bring me coffee before I turn into a goat!" and his contemporaries to celebrate the beauty of this historic church. Tickets can be purchased online at www.musicnorthwest.org or at the door. We need to support each other in this difficult project. In 1851 Kierkegaard wrote that the Bible is "an extremely dangerous book....[because] it is an imperious book... – it takes the whole man and may suddenly and radically change... life on a prodigious scale" (For Self-Examination). And in 1967 Thomas Merton wrote that "we all instinctively know that it is dangerous to become involved in the Bible" (Opening the Bible). Indeed this word "kills" us (Hosea 6.5) because we are "a rebellious people" (Isaiah 30.9)! As Lutherans, however, we are still to "abide in the womb of the Word" (Luther's Works 17.93) by constantly "ruminating on the Word" (LW 30.219) so that we may "become like the Word" (LW 29.155) by thinking "in the way Scripture does" (LW 25.261). 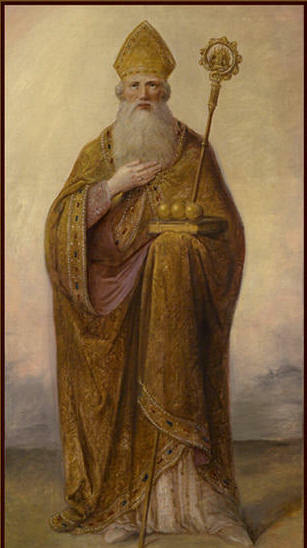 Before you study then, pray: "Blessed Lord, who caused all holy Scriptures to be written for our learning: Grant us so to hear them, read, mark, learn and inwardly digest them, that we may embrace and ever hold fast the blessed hope of everlasting life, which you have given us in Our Savior Jesus Christ. Amen" (quoted in R. F. Marshall, Making A New World: How Lutherans Read the Bible, 2003, p. 12). And don’t give up, for as Luther said, we “have in Scripture enough to study for all eternity” (LW 75:422)! Week I. Read Revelation 14.13 noting the word deeds. What are they? On this read Matthew 22.36–39 noting love for God and neighbor. What is it like to love God? On that read Luke 11.28 noting the words hear, ways and keep. What’s this hearing like? On this read Colossians 3.16 noting the words word, dwell and admonish. What else? On this read Hebrews 11.6 noting the words faith and please. Also on faith read John 6.29 noting the words work and believe. Anything else? On this read Romans 8.17 noting the line provided we suffer with Christ. Read also 1 Peter 4.13 noting the line share Christ’s sufferings. And what is it like to love the neighbor? On this read Matthew 7.12 noting the words wish and so. Also read Luke 10.29–37 noting the words beat, compassion, care, repay and likewise. Read as well 2 Timothy 4.1–2 noting the words urgent, rebuke and exhort. Also on this last reading read, 1 Peter 3.15 noting the words defense, account and gentleness. How easy will both sets of deeds be? On this read Matthew 7.14 noting the words narrow and hard. Can you manage? Week II. Read again Revelation 14.13 noting this time the word follow. What does that mean? On this read 2 Corinthians 5.17 noting the word creation. Are we then marked and altered by our deeds? On this read Matthew 7.16 noting the line you will know them by their fruits. Read also Isaiah 61.3 noting the designation oaks of righteousness. Who brings about this following? On this read Hebrews 8.12 about remembering your sins no more. If that is the case, what does God remember instead? On this read Psalm 37.18 noting the line their heritage will abide forever. What difference does it make if God remembers our faithful heritage instead of our sins? On this read Hebrews 13.7 noting the line consider the outcome of their life and imitate their faith. God sees to it that faithful examples are preserved for us to enrich our discipleship. Do you agree? Week III. Reread Revelation 14.13 noting again the word follow. Does this have anything to do with heaven? On that matter and faith, read Revelation 21.24 noting the line shall bring their glory into it. Read also James 2.26 noting the essential connection between the words faith and works. So if our faith is in heaven, the works attached to our faith will also be there. What will that be? On this read Matthew 6.20 noting the phrase treasures in heaven. What are they like? On this read Revelation 22.3 noting the word worship. Giving glory to God will be our work in heaven. What will this include? On this read Revelation 5.9 noting the word song. There will, however, be no service to the poor in heaven. Why is that? On this read Revelation 21.4 noting the word pain. So all pain due to sickness, homelessness, lost family and friends, as well as hunger, will be gone. But note, there is also the marriage supper in Revelation 19.9. Such feasting will be another activity, albeit not one in direct service to God. How does that look to you? Week IV. Read Revelation 14.13 one last time noting the phrase rest from their labors. What sort of labor is this? On this read Genesis 3.19 noting the line in the sweat of your face. Is there labor without sweat? Is that what singing, praising and feasting are? And how are one’s deeds remembered? On this read Mark 16.16 noting the words believes and baptized. Read also 2 Peter 1.5–11 noting the words supplement, virtue, unfruitful, cleansed, confirm and entrance. Do these verses go with the word does in Matthew 7.21? How about the word should in Ephesians 2.10? But what about the solitary word believes in John 3.16? On this read John 3.3 noting the need to be born anew. That adds transformation to faith. Read also John 4.23 noting worship in spirit and truth. That adds the doctrinal attunement of right worship. Note also the additions of self-hatred in John 12.25, judging others in John 7.24, and loving others in John 13.34. Do you still think faith alone saves you? John 3.16 – when linked up with all of John’s Gospel – doesn’t think so. How about you? Why is more needed than just faith in Jesus? On this read 1 Corinthians 4.20. Join us on Sunday, September 23rd at 10 am for our 100th anniversary festival procession and worship. That evening you are invited to Salty's at 5 pm for dinner ($75 per person). Be sure to make your reservations 206-935-6530 before September 9th. We give thanks to God for our wonderful legacy. First Lutheran Church of West Seattle has touched many lives in West Seattle and throughout the world. At this time we remember those who have worked hard and gone before us. To prepare, we have been cleaning, repairing and planning for the big day. On Sunday, September 23rd at 10 am, you won't want to miss being a part of the procession from the site of our first church building in 1918 to our present building, and the Holy Eucharist and Hymn Festival at 10:30 am in the nave. Then plan to join us for dinner at Salty's on Sunday, September 23rd at 5 pm. Besides a delicious meal ($75 each, reservations must be made through the church before September 9th) we will have a slideshow presentation by Paul Dorpat, columnist for the "Now & Then" series in The Seattle Times, on Seattle 100 years ago. Also a few thoughts on our community and First Lutheran Church of West Seattle will be shared by Jack Miller of Husky Deli. brothers and sisters through baptism. Bob & Barbara Schorn, Eileen Nestoss, Marlis Ormiston, Aasha Sagmoen & Ajani Hammond, Melanie Johnson, Kyra Stromberg, Matt Anderson, Cristian Clemente, Nancy Lawson, Hali Tuomi, Milly Nikula, Larraine King, Tabitha Anderson, The PLU Lecturers, Celia Balderston, The Rev. John Hinderlie, The Rev. Paul Smith, The Rev. Alan Gardner, Ion & Galina Ceaicovschi, Nathan & Les Arkle, Chris & Margeen Boyer, Elizabeth Banek, Sheila Feichtner, Deanne & Lucy Heflin, Lee, Victoria & Hillary Thoren, Paul & Marylou Jensen, Margaret Douglass, Roger Chamberlin, Mary Anne Buerge, Rubina Carmona, Judy Beach, Sharon Cooper, Sally Giebel, Peter Eby, Kirk DeFay, Susan Armbrewster, Stephanie & Magnolia Juhl, Matt & Sonja Noykos, Emily Cole, Karen & Harold Jensen, Christy Drakulich. Pray for the shut-ins that the light of Christ may give them joy: Bob & Mona Ayer, Bob & Barbara Schorn, Joan Olson, Chuck & Doris Prescott, C. J. Christian, Louis Koser, Anelma Meeks, Dorothy Ryder, Lillian Schneider, Crystal Tudor, Nora Vanhala, Mildred Nikula, Mary Goplerud. 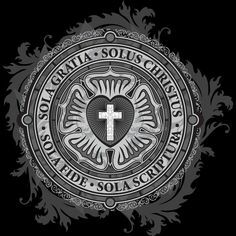 Pray for those who have suffered the death of a loved one: Pray that God will bear their grief and lift their hearts: Pray for the family and friends of Louis Koser who died at Windsong Senior living, Bemidgi, MN, on the 22nd of June. Pray for our bishops Elizabeth Eaton and Brian Kirby Unti, our pastor Ronald Marshall, our deacon Dean Hard and our cantor Andrew King, that they may be strengthened in faith, love and the holy office to which they have been called. Pray that God would give us hearts which find joy in service and in celebration of Stewardship. Pray that God would work within you to become a good steward of your time, your talents and finances. Pray to strengthen the Stewardship of our congregation in these same ways. Pray for the hungry, ignored, abused, and homeless this September. Pray for the mercy of God for these people, and for all in Christ's church to see and help those who are in distress. Pray for our sister congregation: El Camino de Emmaus in the Skagit Valley that God may bless and strengthen their ministry. Also, pray for our parish and it's ministry. 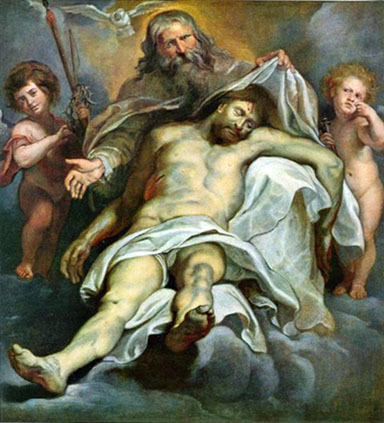 Pray that God will bless you through the lives of the saints: Saint Matthew, Apostle and Evangelist; and Saint Michael and All Angels. Bless your Church, O Lord, and fill it with truth and grace. Where it is corrupt, purge it; where it is in error, rectify it; where it is right, confirm it; where it is divided and rent asunder, heal its breaches. Replenish all whom you have called to any office therein, with true doctrine and purity of life. Let their prayers be as precious incense in your sight, so that their cries and tears for the Church may not be made in vain. In Jesus’ name I pray. Amen.